Use these double-ended, rubber-tipped wipe out tools to precisely manipulate clay, firing glazes, paint and more. 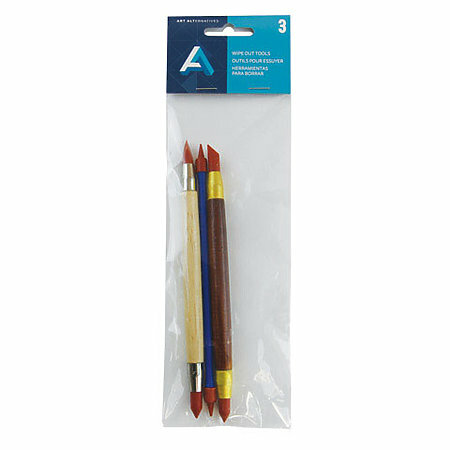 The solvent-resistant tips are fastened with brass ferrules to a varnished, hardwood handle. The set includes three tools that are ideal for sculpting, ceramics, doll making and painting.